This 3 and 4 thread convertible serger cuts, sergers and finishes seams in one quick and easy motion. The external color coded tension dials allow for easy threading and the rolled hem changeover device makes it easy to convert to a rolled hem. 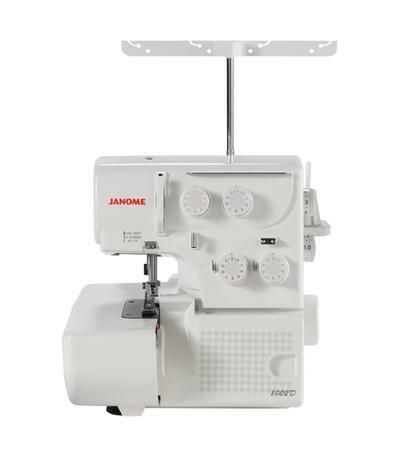 You'll love the difference the 8002D will make in your sewing! © Copyright 2019 Harbour Sew & Vac, Inc.. All Rights Reserved.